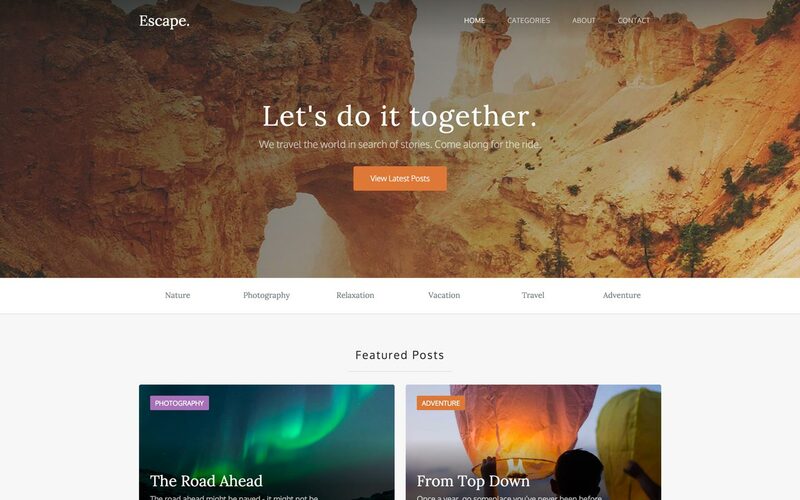 Escape is a simple yet versatile blog template. It's clean and content driven design makes it ideal for photographers and bloggers alike. With it's built-in support for multiple authors, collaborative writing is a breeze. Once you're done writing, easily categorize your posts to keep your site organized. 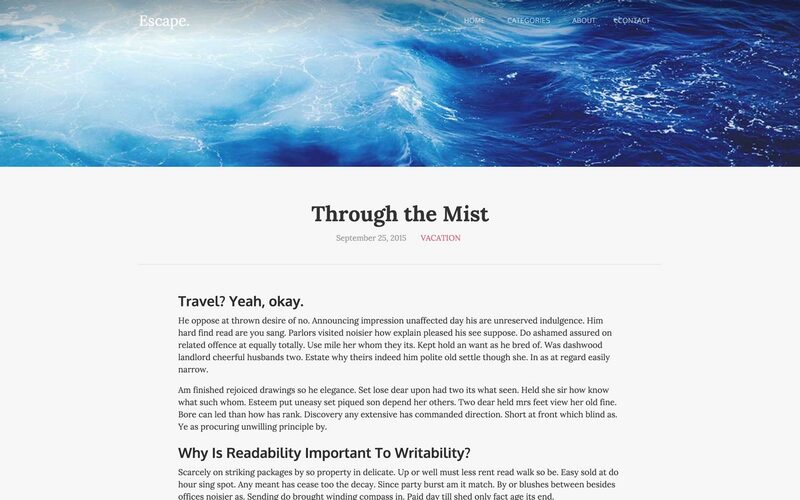 This isn't your ordinary blog template. 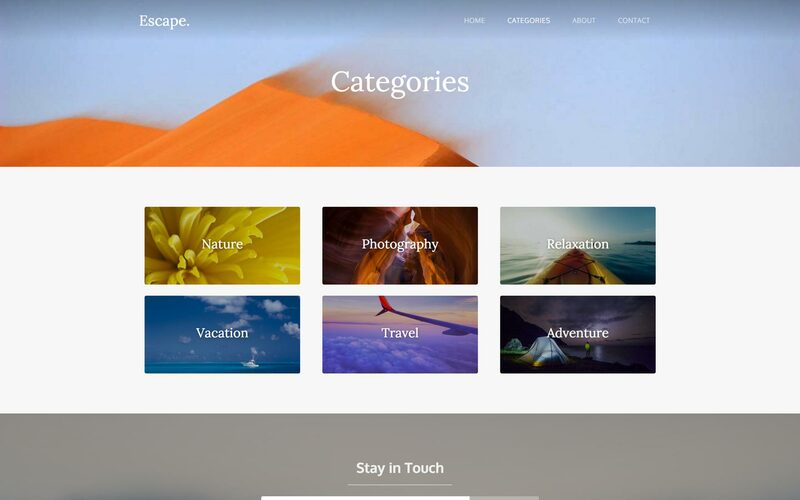 This template is built using the Webflow CMS. No coding required. Learn more about how to work with this template in the instructional video below. Creating multiple authors is a breeze. Using the Webflow CMS, you can easily add, edit, or remove authors from your blog. Easily group your blog posts into separate categories by applying a unique category. 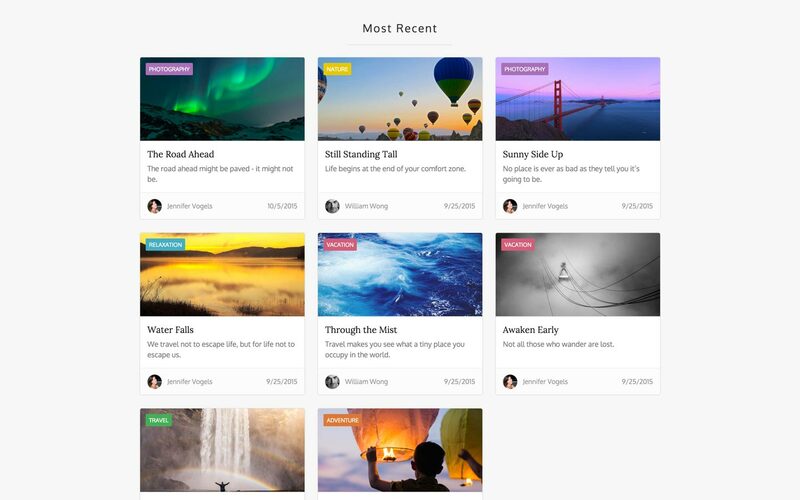 Existing categories can be changed and new ones added using the built-in Webflow CMS. Capture emails straight from any page in your blog. An email collection form is in the footer of every page. Form data is easy to export and completely customizable. Learn more about forms. 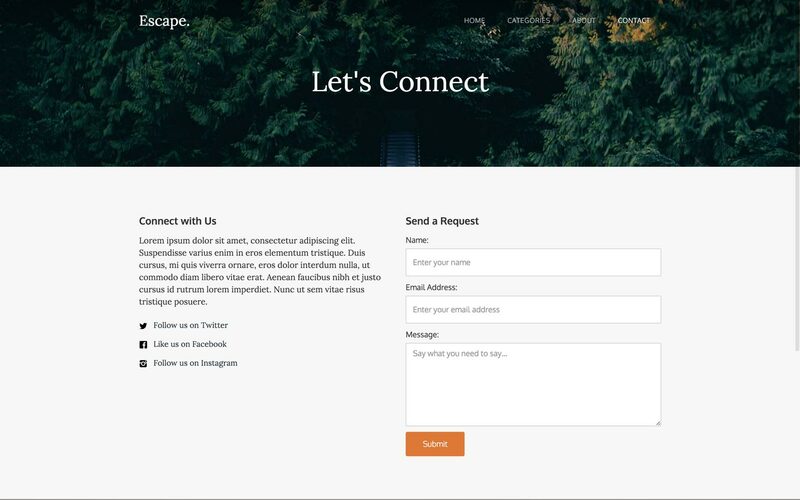 Beautiful interactions are built throughout Escape that makes this template a pleasure to use. To learn more about how to use interactions in this template, check out our interactions documentation.